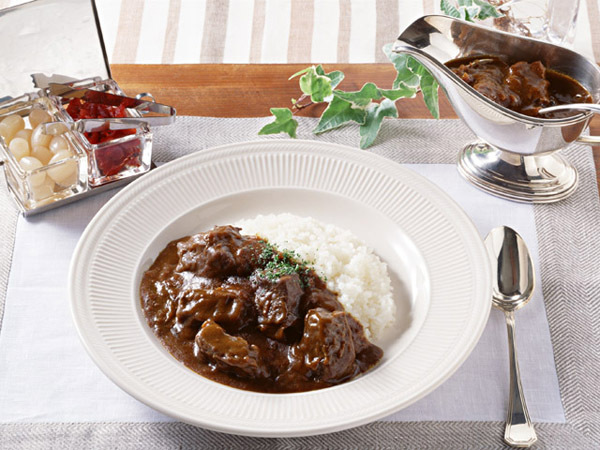 Since CURRY was introduced to Japan in the late 19th century, curry on rice became one of the most popular dishes in the country. Typical Japanese curry is thick and usually has meat, carrots, potato and onions. 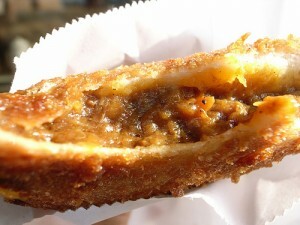 It’s eaten with Japanese pickles like fukujinzuke or rakkyo (see top picture). 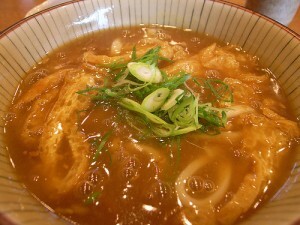 Japanese people like to put curry in any food; for example, soba, udon, fried bread, omelets, croquette, katsu, mochi soup, nabe (Japanese hot pot), oden, ramen and so on. 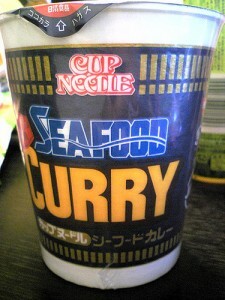 Also curry flavored snacks are popular!! 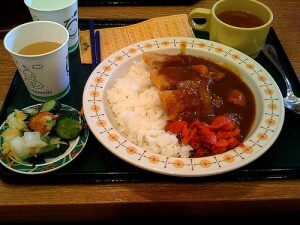 So wherever you go in Japan, you will see curry or curry flavored something.